Welcome to the first ever post from the brand new SouWEST website! Not only is the beginning of an online presence very exciting, but it also coincides with the beginning of our 2011 field season! We have had reports from our collaborators at Western Whale Research (WWR) and the Dunsborough Coast and Land Care (D-CALC) group that the blue whales have reached Geographe Bay, with 5 animals being sighted in the last week alone. So it’s high time we get down there to track them! Chandra, Angela and Sarah spent the day sorting out equipment, so now the team is packed and raring to go! Theodolite - ready for action! In order to understand how whales are using Geographe Bay, we will be tracking animals’ movements visually using a theodolite. 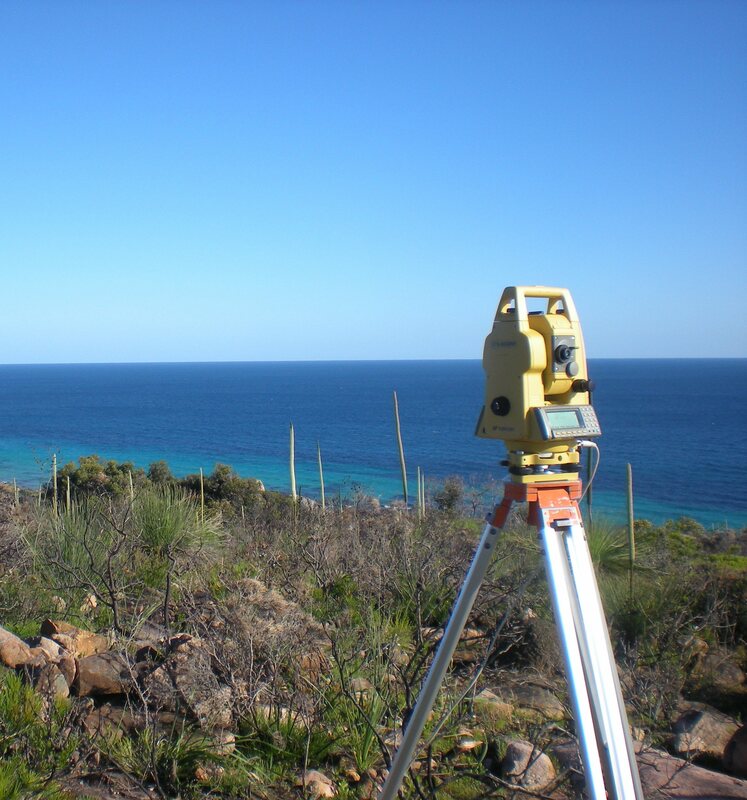 A theodolite is traditionally a surveying instrument: it measures angles in the horizontal and vertical planes, and is typically used to reproduce scale models of the landscape. However, it can also be used to measure the direction, distance and position of objects out at sea – objects such as whales! As the theodolite is operated from land, it provides a non-contact method of studying the movement patterns of whales. We can see them, but they can’t see us! This means we don’t have to worry about disturbing the animals “normal” behaviour by following them in a vessel. Weather permitting, we are hoping to begin whale observations on Saturday afternoon. The forecast is looking a little bit windy though – and as our observation station is at the top of a hill overlooking the ocean, wind is an important factor! Not only does it make for a chilly team of observers, but increased wind means rougher sea conditions which makes it more difficult to observe whale behaviours. So fingers crossed for a nice calm first day!